Every now and then I get asked if I’m actually still alive, so finally here’s a little update on what’s going on! The last 3 months could probably be summed up with “sculpting huge mutated killer wasps, ripped off bodyparts and other stuff for a feature film with practical FX“ with the awesome Berlin-based Special Make-Up FX guys at Design of Illusion. The job offer hit me totally unprepared, but I’m more than glad I got the opportunity to work on something like this for the first time (special thanks go out to Inga Ross and Martin Schäper!) and with how it turned out. 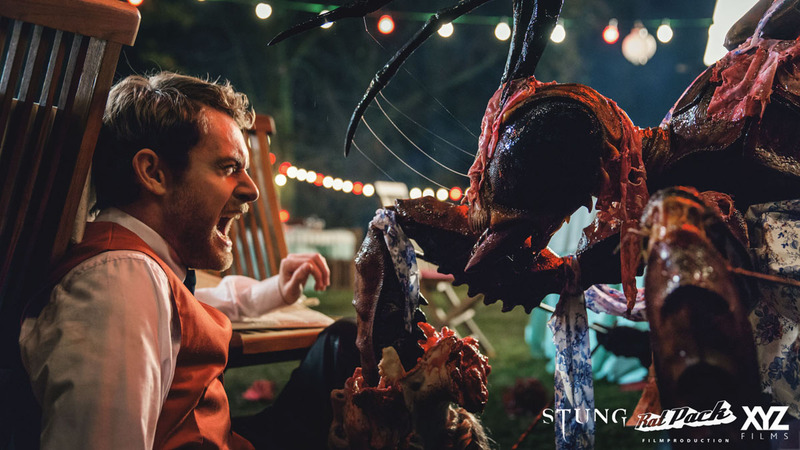 For a better overview of “Stung” head over to their Facebook Page. You’ll also find a pretty entertaining production blog on the page. Take a look if you got a second! Yes, yes, Cthulhu again, but this time with a little twist! I teamed up with the “Cthulhu Project”, that’ll bring more Cthulhu-esque awesomeness to you with their Kickstarter campaign for Cthulhu Playing Cards! Anyone who has seen my sloppy design sketches for sculptures can probably guess that I’m not talking about designing cards (those were done by the ridiculously talented Anita Mejía). Instead I designed and sculpted (and will be producing) a custom Cthulhu Idol for the game’s collector’s edition, that will store the cards and playing tokens. p.s. : Am I the only one who want’s that sweet Cthulhu card design tattooed somewhere? (preferably on me) …Cth-attoo-ulhu donations anyone….? *cough* Haha, alright, back to the cave!